In this post, I teamed up with many great travel bloggers to tell you about the best Christmas Markets in Europe that you should visit at least once in your life! There are so many Christmas markets all around Europe – in Southern Europe, Central Europe and even in Eastern Europe in Russia, however, there are some cities that have particularly great Christmas Markets that are worth visiting just because of the Christmas Markets alone (not mentioning the cities itself – but you can visit them any other time of the year and it’s probably going to be cheaper). My personal favourite Christmas Market in Europe is the German-style Christmas Market in Edinburgh, Scotland. 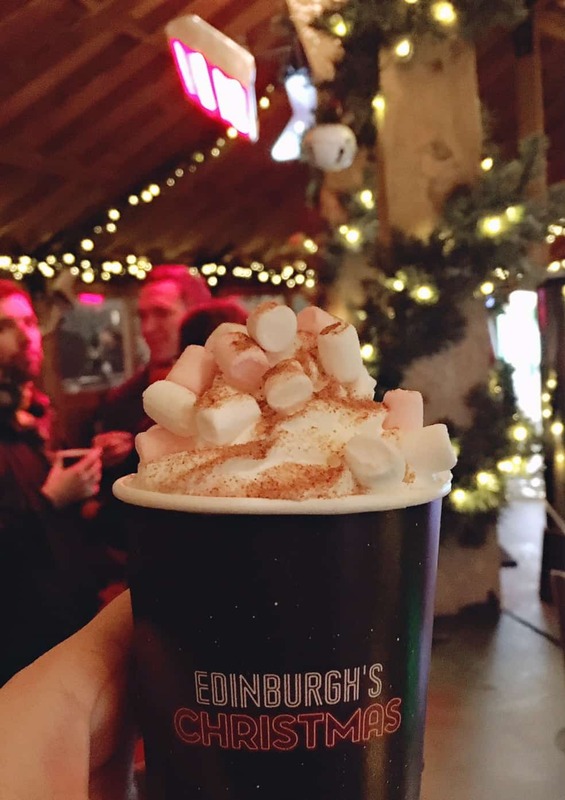 It’s so impressive that I have a separate post about Christmas in Edinburgh (feel free to check it our here). Edinburgh Christmas market is spread across the city with multiple locations, but my favourite part is the fair in the Princes Street Gardens. The only downside is the lack of snow (it rarely snows in Scotland in November and December) and many many people. You can also check my ultimate guide to Edinburgh (I used to live there for a couple of years) and the best affordable hotels to stay in Edinburgh that I personally recommend. You might be surprised, but Moscow Christmas Market is one of my favourite in the entire world. Not many might think of Moscow as of a great New Year and Christmas Destination, but it actually is. Moscow is one of the best-decorated cities (for Christmas) that I’ve ever seen. Don’t be scared of Russian winters, yes, it can be cold, but bring some warm puffer coat, gloves, hat and shoes and you’ll be fine. If you’re interested in learning more about Christmas in Moscow – I have a post for you! You can fly to Moscow with low-cost airlines now. Check the availability of the tickets. 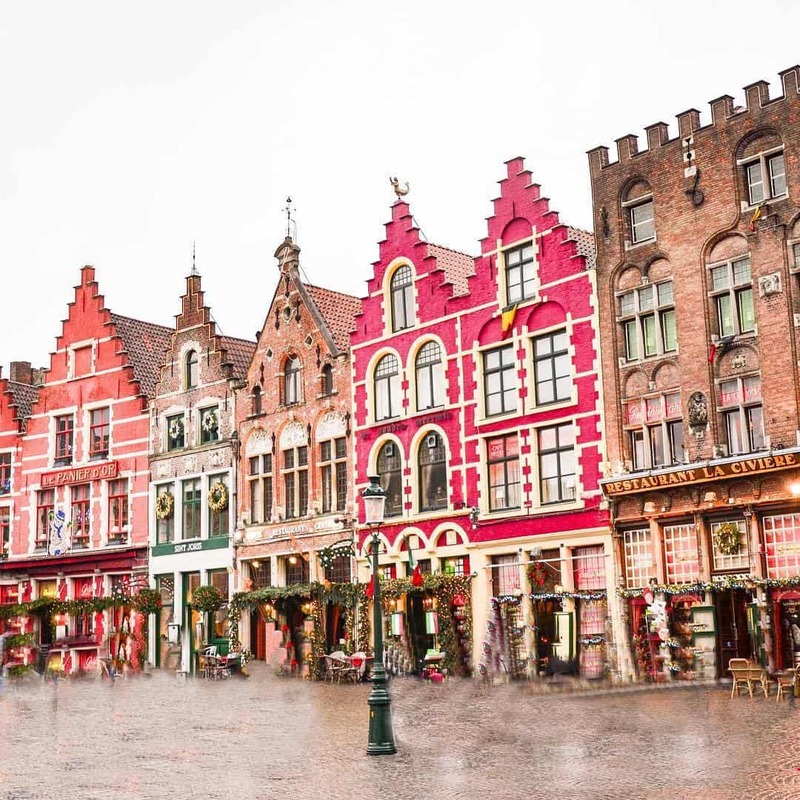 Another of my favourite Christmas Markets in Europe is definitely Bruges, the most charming city of Belgium. I didn’t like Brussels at all (read about my horrible experience in Brussels), but I fell in love with compact and cute Bruges. The Christmas market in Bruges is located on the Main Square and has a lot of stalls with food and even an ice-skating rink. I visited Bruges as part of my 16-days European winter trip (if you’re interested in reading it – here’s the link). I bet not all of you have heard of this lovely Danish city! Aarhus stole my heart last year with great museums and attractions its pretty looks. 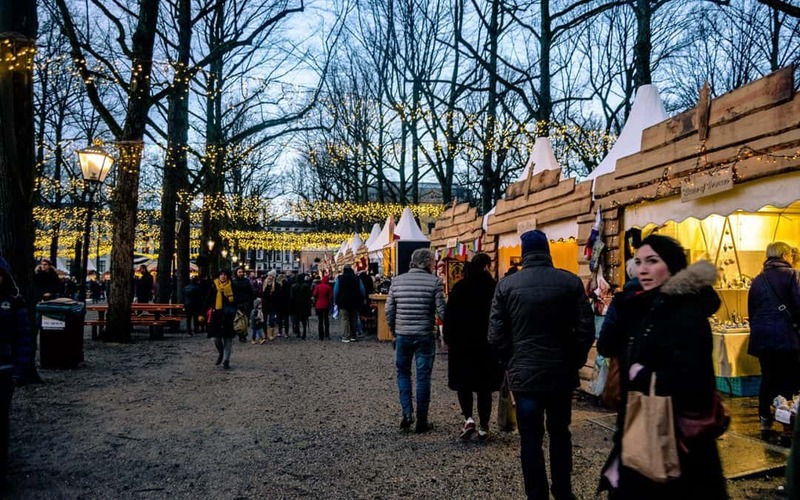 Yes, Aarhus has its own Christmas Market and not one, but many – including the main square, Christmas market in the open-air museum and the Tivoli park! Sounds attractive to you? 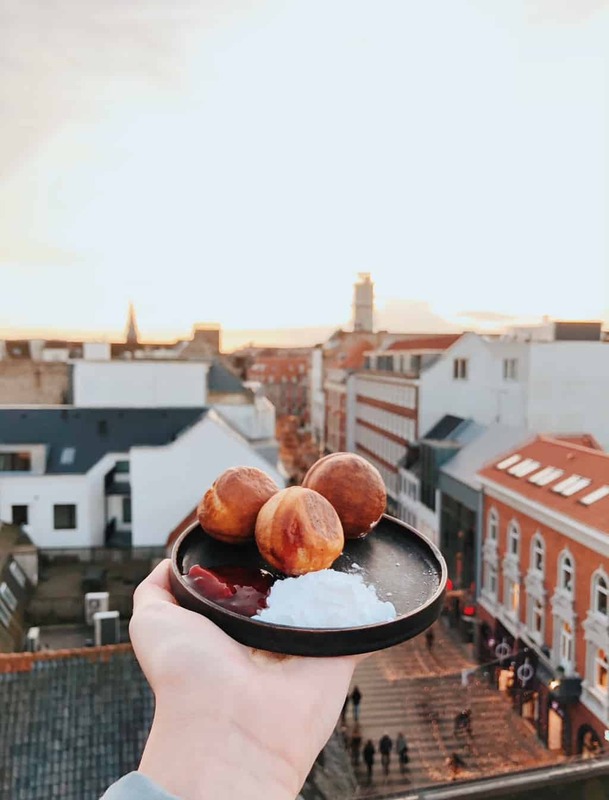 Read more about Aarhus in this post! 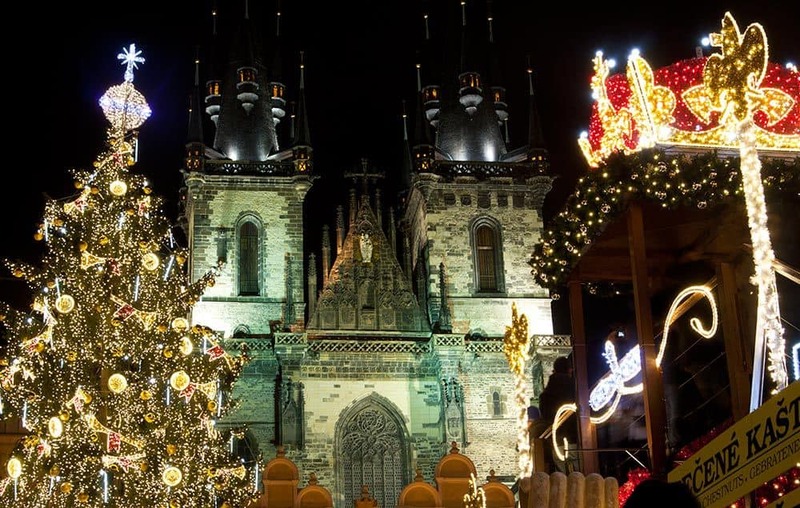 The Czech capital Prague has several Christmas markets, but one stands out from the others – the one in the Old Town Square. It’s so special because the setting is pretty much incomparable. That goes for the whole of Europe. On one side of the square, the Old Town Hall looms above, its tower providing an amazing, albeit crowded, vantage point. Much of the square is surrounded by grand Renaissance-era townhouses, and the fairytale spires of the church of Our Lady Before Týn make for a stunning backdrop. Across from there, the lovely Baroque church of St Nicholas is serene. 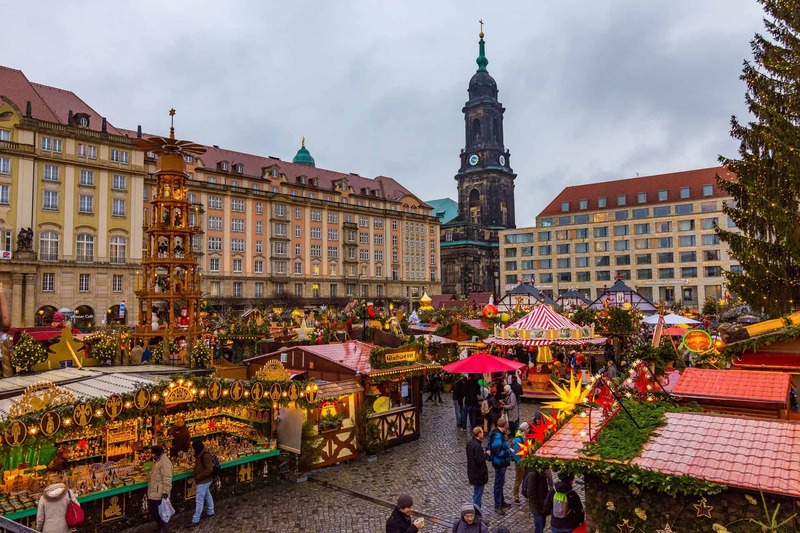 The stalls have some fantastic food and drink, from the local spit-roasted trdelnik cake to potent gluhwein and, if you don’t mind the cold, some of the best pilsner beers on the planet. It’s also an amazing place to go shopping for Christmas presents, with some outstanding craft stalls the best that we found. Dresden Christmas Market, also known as Striezelmarkt is one of the oldest Christmas markets in Europe. It’s also perhaps one of the most famous Christmas markets in Germany. The market has been held since at least 1434, which was the first time it was mentioned, under Friedrich II. In 2014, the market celebrated its 580th anniversary. Since 2014 it has grown exceptionally, and now you can find up to 250 stalls. The annual market lasts through the advent season until Christmas eve. 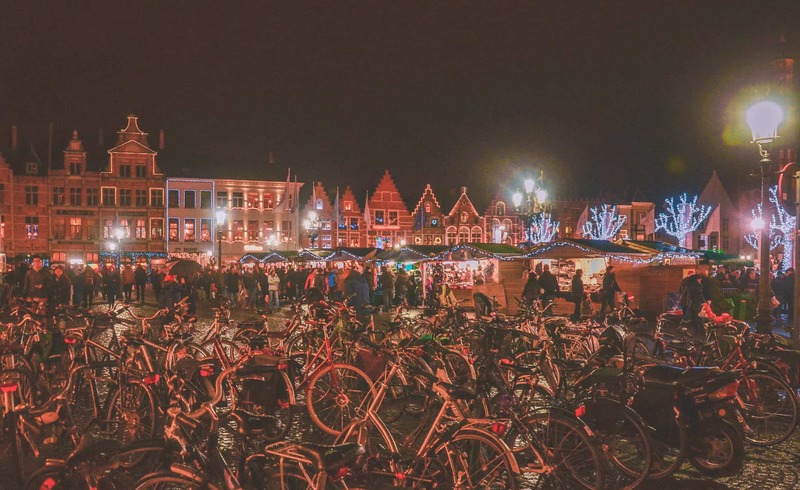 It’s a traditional market where you will find old toymakers, sausages, glühwein, candy, handicrafts and lots of other stalls. For the kids, there are also some carousels and playgrounds. The vibe and atmosphere is exactly what you can expect from a charming Christmas market in Germany. Not only tourists come here, but also many locals, ranging from a wide range of ages. People come here to enjoy themselves and celebrate the festive season that awaits around the corner. The Striezelmarkt in Dresden is one of the coziest Christmas markets I’ve visited, and I will definitely recommend a visit here. introduced to Christmas with winter time! Strasbourg is one of the most beautiful cities in the Alsace, and hosts one of the oldest and biggest Christmas Market in Europe. 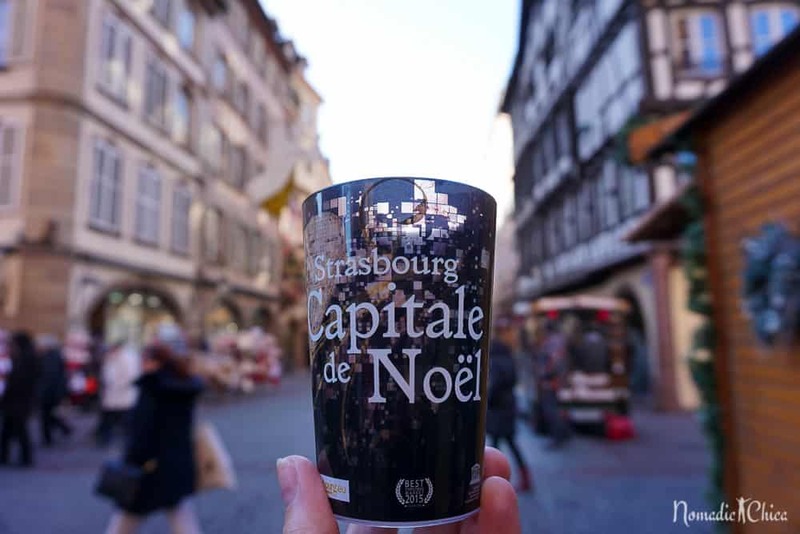 The Christmas Markets in Strasbourg, or “Marché de Noël” in French are definitely worth the visit as the city whole turns into one fully decorated. More than 300 little chalets spread through the city center where you will find together many handcrafted objects, beautiful Christmas decorations, and of course: Food. My favorite place is right outside the Gothic Cathedral and all the area around Little France. They close this area for cars so it’s very pleasant for pedestrians to walk Bring your warmest clothes as it’s usually freezing and windy, but it’s the perfect excuse to try a crunchy and delicious Tarte Flambée with a Hot wine or ‘Vin Chaud’. 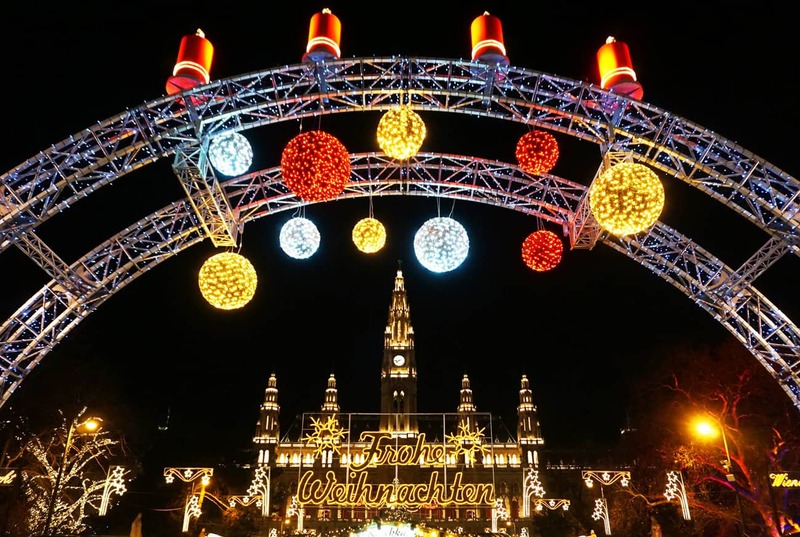 Looking for a city filled with delightful Christmas spirit? Visit Warsaw! The capital of Poland is, in our opinion, one of the most underrated cities in Europe at any time of the year, but it is even more magical during the Christmas season. The lights and decorations turn the city into a Winter wonderland. 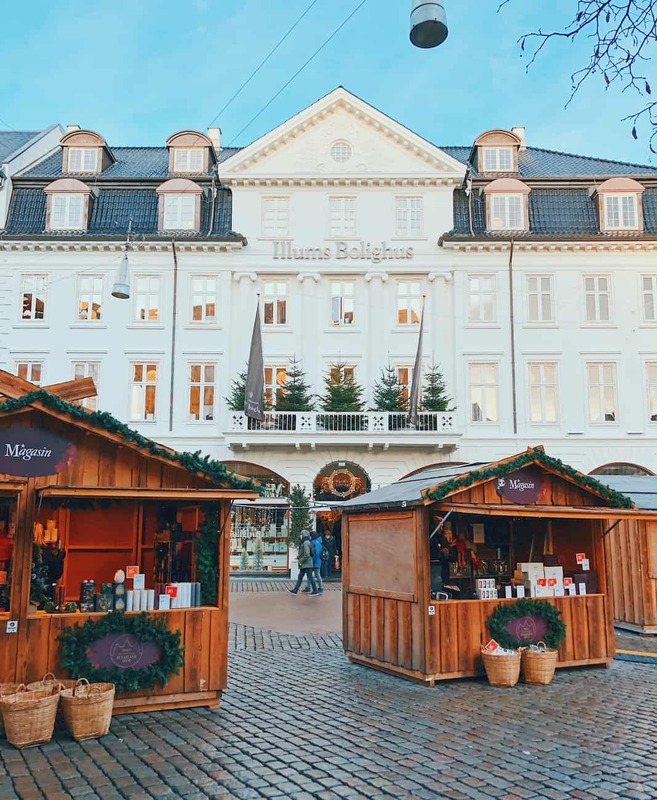 There quite a few different Christmas markets around the city, as they truly are places locals visit and use to buy their gifts and spend time with their friends. The most famous Christmas Markets are located in the Old Town. At the Rynek Starego Miasta (Old Town Market Square) you can find a market mostly dedicated to delicious food and warm drinks. There’s also a free ice skating rink! If you’re looking for handmade Polish products, go along the Barbican Walls where you can find some beautiful gifts (for others as well as for yourself!). 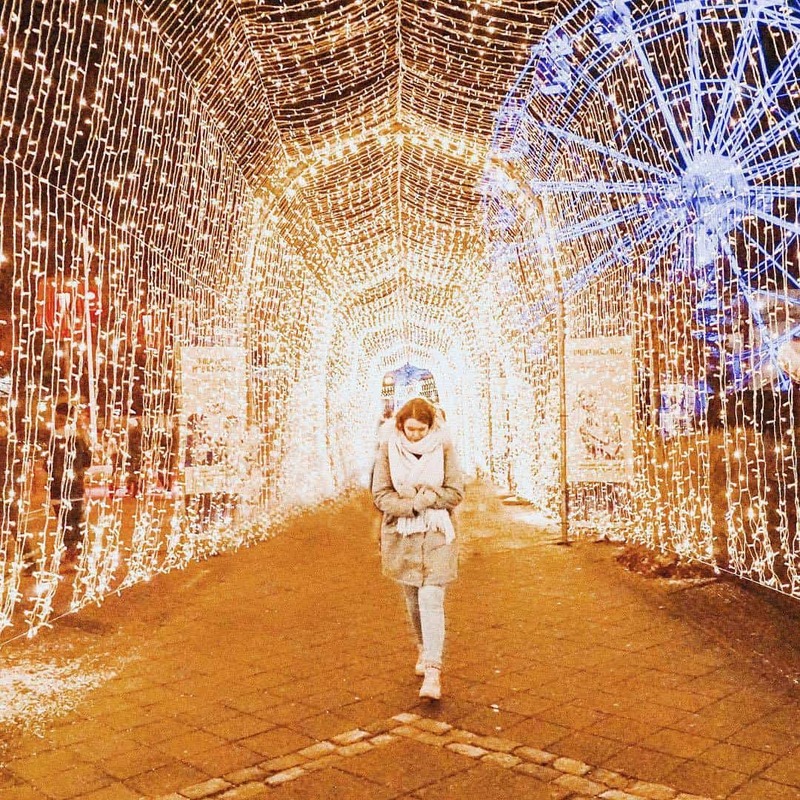 Even though this Christmas Market is located at the tourist center of the city, it still very authentic and unique, and that’s one of the many reasons that made us fall in love with the city during our Ersamus in Warsaw. The Viennese Christmas Market located in front of the Rathausplatz in Vienna is absolutely stunning. 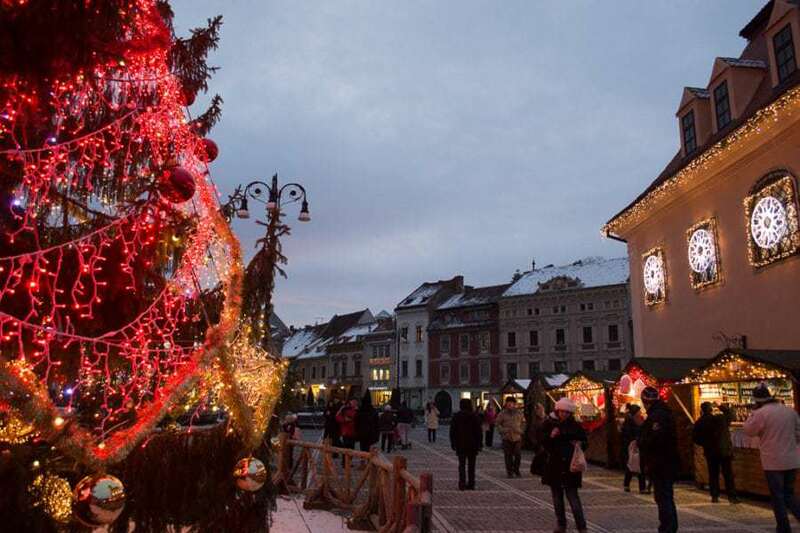 The ornately carved town hall and towering Christmas tree make the perfect backdrop for the booths selling gifts, snacks, and – of course – gluhwein. You can get traditionally flavored gluhwein, or try some other fruity versions of the steaming hot boozy beverage. My favorite items were the Christmas ornaments, and they made the perfect souvenir for my visit. The traditional giant gingerbread cookies were another popular item, with several booths selling them with classic “Frohe Weihnachten” messages or some more modern and sassy options. If you need a break from shopping, you can hit the ice and spend some time skating down the frozen pathways curving around and crisscrossing each other. It’s so much more fun than the usual skate-around-in-circles-on-a-rink open skate. Lockers and skates can be rented on site. Kids visiting the Vienna Christmas Market will love the carnival rides that are also available. 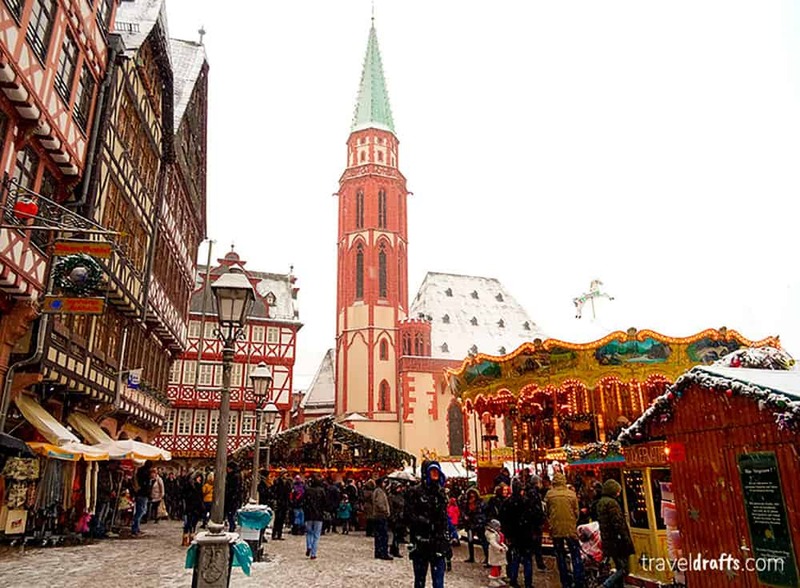 Frankfurt Christmas market is one of the largest and oldest in Germany, dating back to 1393. In those days the market existed to provide the essential supplies to the locals before winter. Nowadays the Christmas market is different, it’s packed with Christmas art crafts and food stalls. There’s so much good food to try, Kartoffelpuffer (potato pancakes), Flammkuchen (German version of a pizza), wood-fired salmon (definitely a must), wurst with bread and mustard (any kind of wurst), Lebkuchen (Gingerbread), and many others. It is a foodie’s paradise. It is also the ideal place to buy gifts and embrace the Christmas atmosphere. 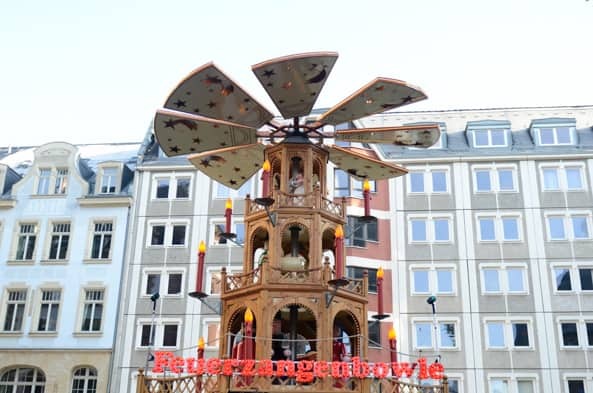 You will find a big merry-go-round and an enormous Christmas tree in the Romerberg square. At night there are several choirs singing Christmas carols, and most of all the town is so full o life with so many things attracting your attention! One of the most memorable moments of this Christmas market is the chiming of the church bells, on the Saturday before the 1st advent, all the 10 churches of Frankfurt (50 bells) chiming their bells. It’s something to remember! Kraków, in Poland, is one of the largest medieval town squares in Europe. And every winter it gets converted into a huge Christmas market. The entire square gets decorated with an absolutely massive Christmas tree in one corner, lights everywhere, and around 80 stalls. One of the most popular stalls include the grilled meat vendors. It is the perfect food for those cold December days. But if eating lovely grilled meat isn’t your kind of thing, you can find a large selection of sweet stalls (candy) and other snacks. If you come to Kraków in December, you will almost certainly go home with a few unique gifts from the market for friends back home. 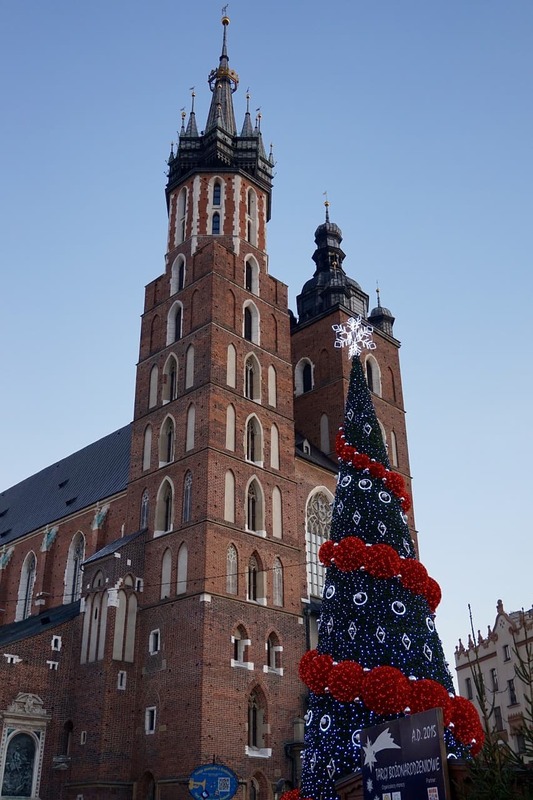 There are many traditional Polish gifts sold here, including amber jewellery, stalls selling lots of gifts made of wood, small Christmas decorations for your Christmas tree (in a very Polish style), and of course some souvenirs for tourists. The market attracts many locals though, so it isn’t full of tourist souvenirs. It normally opens from the last Friday in November and ends just after Christmas. The dates change every year. And if you’re still here for New Year’s Eve, there is always a huge party (often televised on Polish channels) in the main square. Although with Kraków’s weather in the winter, make sure you dress up very warm if you want to enjoy this. Liseberg Christmas market in Gothenburg, Sweden is the best Christmas market I’ve ever been too. At Liseberg, it’s not just about stalls and cheap gifts, but the full Christmas experience. There’s ice skating, Santa’s grotto, Glogg, arcades and Christmas Carol being sung throughout. There are also more fairy lights than you can imagine and open fires to warm up your hands on. 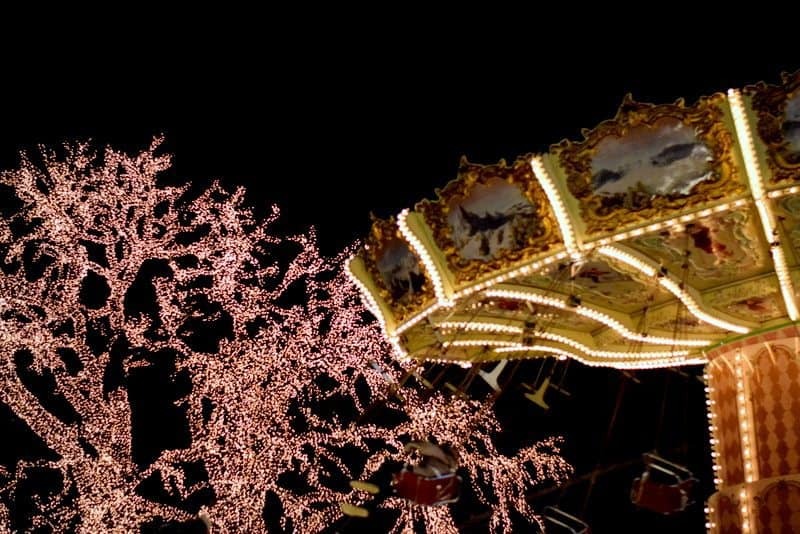 What makes this Christmas market truly special is that it’s held in an amusement park. The park is completely transformed into a festive wonderland during the winter. This Christmas Market is split into different sections. There’s Rabbit Land full of multi-coloured fairy lights, presents, an abundance of Christmas trees and a giant rabbit, an old-fashioned district with a huge ship, carol singers and quaint looking houses, and even a trip back to the Middle Ages with a Princess castle! And, of course, there’s a Lapland section too. Don’t worry, you can still get your festive gifts too only they come with some Scandi style! If you’re looking for a different type of Christmas Market then I’d highly recommend Liseberg. As a veteran of Christmas markets, I was impressed with the Christmas market in the Hague. Every year, there’s one weekend in December when the Royal Christmas Fair occurs. This market happens along one of the most beautiful streets of the Hague: Lange Voorhout, which is lined with trees and embassies. This street is said to have inspired the Unter den Linden in Berlin! At the market, you can browse for unique artisan goods, sip on gluhwein, and snack on food from all around the world. Unlike many other Christmas markets, the Royal Christmas market is quiet, enough for a beautiful stroll along the grounds together with your significant other or family! Be sure to come around dusk as seeing the Christmas market lit up only adds to its charming ambience. If you’re merely visiting as a tourist, be sure to go to an ATM ahead as many booths do not accept credit cards, only Dutch debit cards. 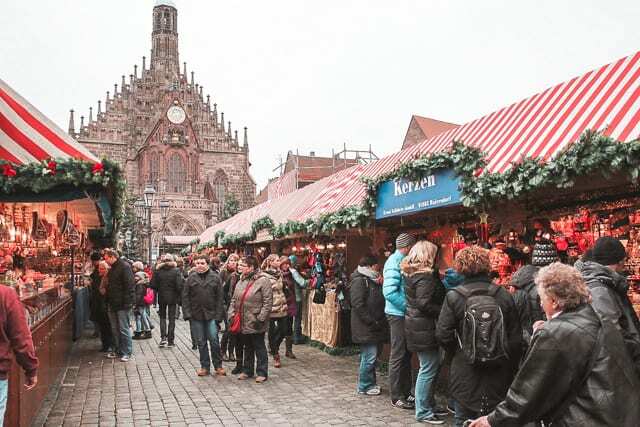 The Nuremberg (Nürnberg) Christkindl Markt is one of the oldest in Germany and a must-see. It offers 180+ food and craft stand to peruse, and if you’re there on the Friday before the first Advent, you can attend the opening ceremony (and maybe see the current Christkind in her golden robes and blond curls). When at the Nuremberg Christkindl Markt, do as the Germans do: eat a Bratwurst (in Nuremberg you get three little sausages on a roll rather than one large sausage), drink at least one mug of piping hot Glühwein (mulled wine), and enjoy a Lebkuchen (gingerbread) dipped in chocolate or savor a packet of warm Gebrannte Mandeln (cinnamon sugar almonds)! A few tips…visit the market both during the day and at night, dress in layers and wear comfortable shoes (it can get very cold but Glühwein also helps with that), and avoid the busy and often overcrowded weekends. One of the things that makes a European Christmas market so wonderful is its location. Well, you can’t beat the charming location of the Brasov Christmas Market, tucked directly in the center of the quaint Old Town. This pastel-hued square is picture-perfect, and the Christmas market that springs up inside it every December is equally magical. 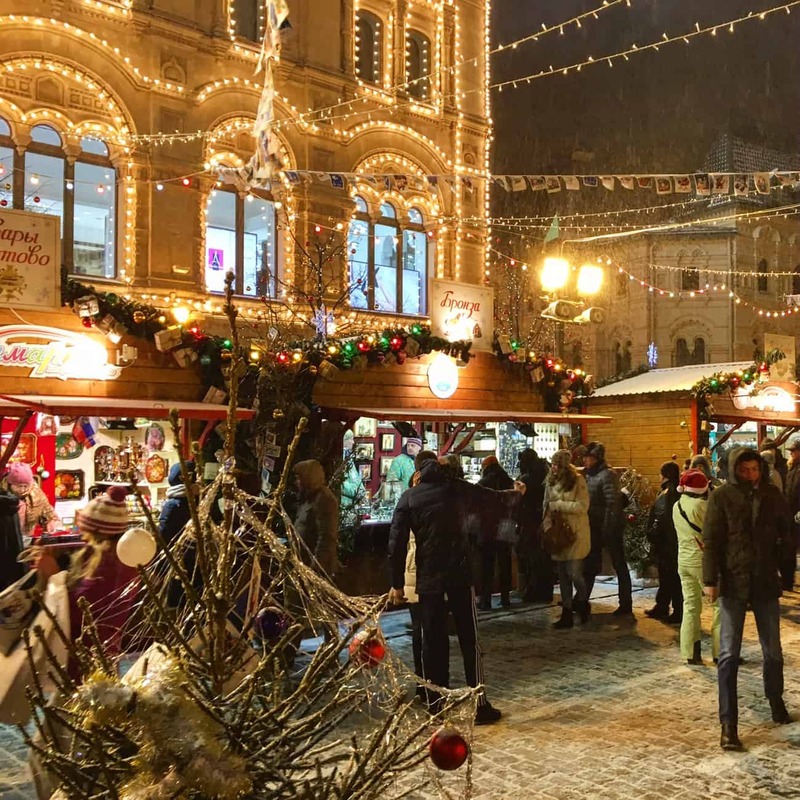 You can drink hot mulled wine, check out hand-made Romanian crafts, and of course sample many of the local traditional treats. A few of our favorites were gogosi doughnuts with chocolate sauce, and Kürtőskalács, a Hungarian inspired spit cake. And don’t just try traditional hot wine (vin fiert), be sure to taste the hot tunca, too, a Romanian plum brandy that will warm you from head to toe. Riga, Latvia, may not be the first place you think of to visit for Christmas Markets, but they do take the holidays seriously. They claim to have invented the Christmas Tree. You will find Christmas decorations everywhere and four Christmas markets in the Old Town area. In the evening, save time to check out the artistic and unique Christmas trees that are part of “The Way Through the Christmas Trees,” which has been a tradition for the last seven years. They have plenty of food and warm beverages at all the Riga Christmas Market, but if you want a sit-down meal the Livu Laukums Market has an indoor restaurant called Sunshine. Kids will love the adorable rabbits and carnival rides at the market in Esplanade Park. 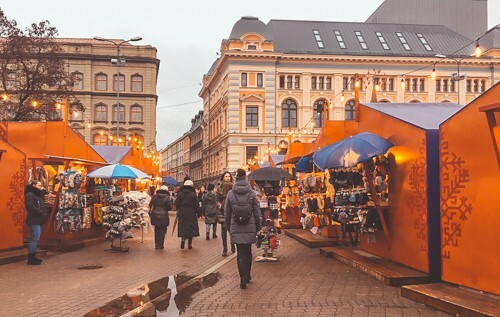 If you are in Riga to do your Christmas shopping, you will find a vast selection of gifts and Latvian handmade crafts at all of the markets. Riga is the perfect destination to help get you in the Christmas spirit. From afar I can already smell the roasted almonds and the mulled wine already. I am in the middle of Leipzig and surrounded by Christmas markets, which is a unique thing about the Christmas season in Leipzig. A walk through the beautiful old town, along with the beautiful facades of the houses and over the cobblestone streets shows that Christmas can be felt in every corner of Leipzig. Every small courtyard is adorned, the streets lined with small stalls and in just one day you can visit five, if not more, Christmas markets in the Saxon city. Since the 15th century, Christmas markets open up in Leipzig and now offer a selection of almost 300 stalls. Enough to savour the variety of mulled wine varieties and another great culinary offer. The best thing about the Christmas market in Leipzig is the location: Located in the middle of the city, you can also make a quick detour to the famous sights from here. Starting with a warm tea to warm up in Auerbachs Keller, you can continue through the historic Mädlerpassage, which goes right into the central market square. Although the marketplace is small, it has a very special flair. Right on the market square, you’ll find the Old Town Hall, which was designed in the style of the Saxon Renaissance – the best point to fall back into the middle of the mulled wine paradise. Hope you liked this post about the best Christmas markets in Europe! If you did, please share it on Social Media!